In a bid to “grow the pot of gold under the rainbow” Australia’s first LGBTIQ+ giving circle is bringing giveOUTday to Australia for the first time. giveOUTday is a national day of giving to LGBTIQ+ communities which started in the US in 2013 and has since raised more than $5 million for over 600 organisations. The move to bring it to Australia was inspired by the success of the US concept and motivated by the lack of funding support for LGBTIQ+ community groups across the country. Only 0.8 per cent of funding organisations in Australia specifically target LGBTIQ+ people. The Channel director Caitriona Fay, outlined the importance of the initiative. “LGBTIQ+ communities in Australia continue to experience discrimination and barriers to participation after marriage equality. giveOUTday empowers individuals to shift the dial on these issues by providing the platform and resources for participating community groups to more effectively fundraise for their work,” Fay said. To maximise the day’s impact, The Channel is providing more than $30,000 in matched funding to participating projects, and offering grants to participants working in rural and regional LGBTIQ+ communities. 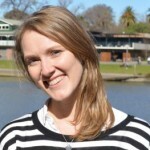 The Channel founder and executive director Georgia Mathews told Pro Bono News the aim was to build the capacity of LGBTIQ+ communities to resource their own social change work by providing infrastructure, guidance and exposure. “We’ve seen quite a representative subsection of the diverse, vibrant and wonderful work that the LGBTIQ+ community and its allies are doing to benefit and celebrate that community. But what’s become clear through that process is that there isn’t much capacity building work being done,” Mathews said. “There aren’t really many intermediary organisations. There aren’t any organisations that are supporting the infrastructure and the growth of the LGBTIQ+ community sector and a significant reason for that is because there is a lack of funding. Jason Franklin, who co-founded giveOUTday in the US with Charlie Rounds before handing it over to the Horizons Foundation, said he was thrilled to hear that giveOUTday was happening in Australia. “I’ve seen the power it has in the US, where it’s not always about the money, it’s about the community and it’s about the engagement,” Franklin said. “Part of the success we saw on giveOUTday in the United States was tiny organisations who were able to go from having 15 people support them to 30 people supporting them. He said, while collective giving was often place-based, giveOUTday was something that could be connected all over the country. “We saw hundreds of groups in the US, and I think you’ll see dozens of groups all over Australia, some of whom we’ve never heard of. And the power to get connected and to see what’s happening and to build a shared identity is really important. And raising money on top of that is good too,” he said. Mathews said with the Australian day they wanted to create a decentralised sort of movement, where everybody could take ownership of it and adapt to it to be of most benefit to them. “So while we do have the online platform that people are welcome to fundraise through and we have match funding incentives on there, we’re also encouraging LGBTIQ+ community groups to find their own matching incentives and run their own campaigns and to use the giveOUTday banner and messaging and logo, on whatever materials they’re sharing. It’s really kind of like everybody’s welcome in the tent,” she said. Pre-pledge donations are now open, culminating in a “24-hour giving extravaganza” on Thursday 18 April. Community groups and artists can register their LGBTIQ+ projects for free at giveoutday.org.au/sign-up. For more information about supporting LGBTIQ+ communities visit the website.